The Data Chase (part 3): "The scrape"
The good folks a Jassy, Vick and Carolan (JVC ) could no long support us. In our last communication, JVC speculated that a backup of the database for the Online Permit System (OPS) could be a public record. There was little doubt the back up existed and it would hold the data in an electronic form we could use. We drafted another CPRA request, but were reluctant to proceed without a review from an expert. Once again we were shopping for pro bono help. We revisited the First Amendment Coalition (FAC) website for references to other firms with CPRA expertise. We sent an inquiry to every firm they listed in the LA area. Our only reply was a polite reminder from an attorney who had already turned us down. We had hit a dead end. I was having beers at Der Wolfskopf in Pasadena with an old friend who had given up engineering for law and community activism. I was rattling on about the state of our data collection project. He listened carefully and made a referral. He had seen an attorney make a dazzling, open-records appeal to the Orange County Board of Supervisors. Her name was Kelly Aviles. We sent Ms. Aviles an inquiry. Her response was immediate; she was willing to hear more. We arranged a call. She was inspiring. Not only did she have confidence in the legitimacy of our request, she was quick to grasp the essentials, convincing in reply, and firm in her analysis. She agreed to review our letter. On February 15, we sent our third, CPRA request to FilmL.A. This one was strongly worded. We were asking for the "electronic data in the format in which it is held, in this case, the raw data held in the Online Permit System database." Excerpt from letter signed by Paul Audley, President of FilmL.A. Audley's offer of access to the OPS system was as unappealing as ever, but this reply, more than the others, seemed to be laying a legal groundwork. The CPRA stipulates that records with proprietary information are not a public record. It also says that records created during a contract development period is not a public record until the contract is awarded. Audley seemed to be suggesting that a draft permit was not a public record because it was a contract in development. In other words, if the database held proprietary information or if permits were like contracts, then the OPS database might not be a public record and FilmL.A. might have a basis for a denial. Were his assertions true? Were they grounds for denial? The argument about draft permits as contracts seemed easily overcome. We need only to request a backup version dated a few months back so that any draft permits would not longer be "in development." Audley's claim that FilmL.A. was not subject to the CPRA because it was private and because the database held proprietary data might be a dubious. In an early email, a FAC attorney had advised us that if "...FilmLA was created by the city and county to perform the government function of approving filming permits...then FilmLA should be subject to the CPRA and would have to comply with a records request..." In fact FilmL.A. was created by LA City and LA County for the purpose of replacing services previously provided by City and County Departments. In fact nearly all their operating funds are derived from film permit fees, film field services and school film licenses — all revenues previously charged and collected by local government. We consulted with Aviles. She was dismissive of Audley's claims and confident that, in the end, our request would succeed. But, she drew the same conclusion that JVC had drawn: FilmL.A. would not provide the records without a writ from the Court. There was no point in continuing to send our informal CPRA letters. To proceed, we would need to raise funds for legal fees and court costs. We requested feedback from a group interested friends and colleagues who had been following our progress. Did they think we should initiate a GoFundMe initiative to raise the needed funds? The response was very positive. So positive in fact, we had secured enough pledges to pay for the first legal step before we even opened a GoFundMe account. That was a tipping point. Before committing to an expensive legal process, we owed to ourselves to take a closer look at the approach Audley had repeatedly offered. Perhaps we could we get the data from the OPS system. Perhaps it was realistic to capture, or scrape, all the documents from the OPS system and extract the data from them. I contacted a few old software development colleagues for some pointers. The download could be automated. The software we needed was free and in widespread use by web developers. The download process could be run on no-cost services available from Amazon and Google. The decoding would require some programming. The programming tools were free. In February I did some investigation and ran some preliminary tests. FilmL.A. permits have a regular structure; there was a decent chance decoding would work. I timed the download process; the OPS system was slow and the system was restarted every night. We could down load from four to a dozen documents a minute. There were about 180,000 documents on the site. The scrape was possible, but would would take a month. Programming the decoder would take a couple weeks. Fixing bugs and correcting for anomalies would take a few more weeks. The project to scrape the data from the OPS system seemed feasible. I discussed the project with Steve. He agreed that we should try the scrape before starting the legal process. I began the Scrape Project during the last week of February. My programming estimate was off by half, but we had a credible data set in early May. After all the hubbub, we had what we had requested: the data we needed to estimate the untaxed income from location-filming rentals in the Los Angeles region. In the coming weeks, we plan to make the data set publicly available. Similarly, we will make the permit decoder source code available. From the start, our effort to obtain and analyze filming permit data was motivated by a desire to understand the amount of revenue that passed through an exception in the IRS and FTB tax codes. It was our thought that, if the amount was sufficiently large, a local tax might generate funds that would provide significant benefit to underfunded government programs that assist the disadvantaged. An initial estimate, based on filming in Altadena, appeared to suggest that the untaxed revenues in the LA Region might be as much as $200 million per year. It was thought that if the estimate was accurate, a tax rate comparable to the Transit Occupancy Tax might generate as much as $20 million dollars for underfunded local programs. In retrospect, we should have started the Scrape Project months before we did. We did not need to occupy the energies of those public spirited attorneys nor the people of FilmL.A, although we would have hoped that a public agency would be helpful. However, we now have the data and it speaks for itself. 1 The number was not scrubbed for errors in the original permit. For example, in a dozen or so cases, the original permit may show a start date in 2015 and end date in 2016 adding 300 days to the total. Consequently, the number of production days may be inflated by a few thousand or less than 0.10%. 2 A informal report that explains the basis of this estimate is available on request. The Data Chase (part 2): "Access to public records"
When my friend Bill suggested we use the Freedom of Information Act (FOIA) to obtain the filming permit data, I was annoyed. We had no funds for a lawyer and life is too short to become one. For no other reason to prove the FOIA was simply too much trouble, I googled around for some quick answers that would put the matter to rest. I got a pang of civic duty that I would later regret. If we could get the data, if we identified a source of revenue that helped the disadvantage, maybe we could do some good. I called a friend who had recently retired from the Department of Justice. "The first thing you need to know," she said, "the FOIA doesn't apply to California. It's just for federal agencies. You want the California Public Records Act. The second thing you need to know... go to the the LA Law Library. "The librarians are very helpful." So they were. 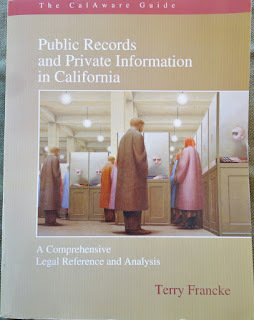 I was soon pouring over Terry Franke's invaluable reference Public Records and Private Information in California. f you should find yourself in the unfortunate position of needing access to public records in California, get this book! The right of Californians to access public records goes back 150 years. The first statute ensuring access to public records was passed in 1872. An update was passed in 1953, but that bill was vetoed by Earl Warren. It took another 15 years before 1968, Ronald Reagan signed the current statute into law. "In enacting this chapter, the Legislature...declares that access to information concerning the conduct of the people’s business is a fundamental and necessary right of every person in this state." In addition to guaranteeing every Californian the right to access state, county and city public records, the CPRA also provides provisions that compel the government to help satisfy a request. (3) Provide suggestions for overcoming any practical basis for denying access"
The CPRA does stipulate that a public agency may deny access to requested records are proprietary or impact privacy. However, if a CPRA request is denied, a citizen may appeal the denial to the Court for a writ of mandamus that forces the agency to provide the records. If the appeal succeeds, the agency is responsible for all legal costs. There's teeth in the CPRA. Were FilmL.A. 's permits public records? We did not know for certain. I returned to Google for additional help. I found two California non-profits whose missions were to help citizens obtain public records: the First Amendment Coalition (FAC) and CalAware. I started with FAC. They offer an 'inquiry hotline. I sent an inquiry to FAC asking if FilmL.A. and their data were subject to the CPRA. To my amazement, the answer came quickly. From what I understand, FilmLA was created by the city and county to perform the government function of approving filming permits. If that is the case then FilmLA should be subject to the CPRA and would have to comply with a records request, including any requirements described below to, for example, provide records to you in the format in which they exist. Also, the CPRA requires the agency to assist you in making a focused and effective request that reasonably describes identifiable records. I forwarded the FAC email to Steve. "Great news," he replied. "We need legal advice." I returned to the FAC site. They offer a slate of attorneys who specialize in first amendment and public access issues. I emailed three firms in the LA area. We received a promising reply from the LA firm of Jassy, Vick and Carolan (JVC). We sent along some documentation and arranged a call. They were reassuring. They speculated we had a strong case. It seemed likely we would be successful. With some very helpful guidance from JVC, we drafted a CPRA letters to FilmLA and LA City with supporting citations from the statute and a reminder that, under the CPRA, they are required to help us obtain the records. The letter was carefully worded. We wanted to ensure that FilmL.A. would not misunderstand this request. On July 21st, we sent the letters and crossed our fingers. Four days later, we received the following response from Paul Audley, President of FilmL.A. "We do not have a report in the format you described in your CPRA request. However, permit information is available electronically through our Online Permit System ." While Audley's response removed any doubt that the FilmL.A. permits were public records, his reply was disappointing. The assertion that they they did not have a report in the format we requested seemed disingenuous. We had already received data from them in the very form we had requested. Perhaps Mr. Audley wasn't aware of the capabilities of his organization. But, the recommendation that we get the data from their Online Permit System (OPS) was less than helpful. For our purpose, the OPS had two significant drawbacks. The FilmL.A. OPS only allows a user to download one permit file at a time. OPS held over 130,000 permits. There was a bigger problem. OPS stores permit data as pdf documents 1. A pdf document is like a sheet of paper, the information cannot be loaded in to statistic program. To do the analysis, we would have to be copy out the data from each separate permit into a form, like a spreadsheet, that could be loaded into an analysis application. Audley's offer to get the data from OPS seemed like no offer at all. We sought advice from JVC and drafted another CPRA letter with a reminder that had already sent us the data in the form we requested. To ensure that Audley knew our claim wasn't a fabrication, we cited the February letter we had received from David Howard, Assistant Chief Executive Officer for LA County. "At our request, FiImLA has undertaken a review of their database and has provided responsive documentation in an electronic format..." We included a link to the spreadsheets in the hope that we could eliminate any doubt that FilmL.A. had the data we requested. We send our letter on September 5, 2017. On September 11, we received the following reply. "The records you refer to from January 2017 were "ad hoc" reports....They were not standard reports or records that are produced by Film L.A. for our client jurisdictions. Many of the data fields listed in the request from January could not be retrieved after many hours of work by our IT staff. Under the California Public Records Act, we a re not required to create reports that are not generated by us...We do not have the customized reports you requested." We puzzled over Audley's response. We knew that the data existed because the OPS generated the pdf documents from the underlying electronic data. Was the denial based on a willful ignorance? Were FilmL.A. 's technical capabilities really that limited? Without doubt the data existed in some electronic form that did not require customization. If nothing else, the database backup files would have the data we were requesting. Surely, FilmL.A. backed up the OPS database — no competent IT organization would fail to make backups of the organization's data. We once again sought JVC's advice. They were frank. The writing was on the wall. While it appeared that a back-up file might be subject to a CPRA request, it had become clear to JVC that FilmL.A. was not willing to help. In order to succeed, we would have to go to court. But JVC felt our case might not be clear cut. It could be difficult to convince a court that the OPS data did not meet the intent of the CPRA. Given those circumstances, JVC felt they were no longer able to provide us with guidance. We thanked JVC profusely for all that they had done. That had been very generous. We had been more-than-a-little lucky to capture their attention. We were back where we started. I was mulling over our options when I received an email from my friend Mary who had been supportive of our project. Mary is an executive at foundation that supports low-cost housing projects. Mary had been meeting Doug Baron, the Manager of the Office of Economic Development and Homelessness in LA County's CEO office. The County's Film Liaison had just been moved into Mr. Baron's Division. "I think you should meet Doug," she said. "I told him I had a friend working on a project based on filming permit data. He was aware of you. 'You mean that crackpot from JPL?' I told him you were no crackpot, but a serious person that he should meet." With Mary's help, Steve and I met Mr. Baron on November 1st. Gary Smith, the new Film Liaison for LA County attended the meeting. Both men were very hospitable We discussed our project, the potential we saw and our efforts to date. They seemed genuinely interested. We explained why we believed FilmL.A. held the data in the form we requested. We asked for their help. As we left they agreed to make inquiries on our behalf. We heard nothing for a couple weeks. Then, just before Thanksgiving, we received a terse note from Gary Smith. "After double checking, we are not able to provide you with the data you seek in the format you've requested." After the warm reception at that November 1st meeting, the note struck us as dismissive. We had hoped to hear more than a summary denial. It wasn't to be. Just before the Christmas break, I met Steve for lunch to discuss next steps. It had been almost a year since we began the project and we appeared to be out of options. "Time to give up the ghost or try to find another attorney?" I asked. "We should try," he said. It was a good thing, because our luck was about to change. 1Portable Document Format (pdf) is an internal standard for representing documents in an electronic format. The Data Chase (part 1): "Learning the ropes"
The following three-part story recounts a 14-month effort to obtain public records from FilmL.A. Some names have been changed to ensure privacy. It was a couple days after Christmas. 2017 was days away. I was having lunch with my friend Steve. Steve is a community-spirited fellow with a heart of gold and the kind of integrity you'd wish our public officials exhibited. The sort of person you can admire, but not successfully emulate. your request for...ZIP codes 91001 and 91104.
reports with complex geographic boundaries..."
We were discussing the tax loophole for film-location rentals. The loophole exempts film hosts from paying tax on film-rental income while allowing film companies to deduct these rental fees from their bottom line. In a previous posting, I had estimated that, in LA County, perhaps as much as $200 million a year was paid out as untaxed rental income. It was an 'iffy' estimate. It relied on very incomplete data and a lot of assumptions. I had made numerous requests for additional data, but FilmL.A. turned them all down. I had long since given up. "Just think," I told Steve, "a 10% tax on $200 million might raise $20 million a year for an underfunded government program -- like something for the homeless." "What if that estimate was right?" He asked. "What then?" "Maybe somebody tries to get a tax measure on the ballot," I hypothesized. "I think we should do it," he replied. "And what if that estimate is wrong? There are a lot of assumptions." "Let's find out. Let's get the actual data," he said. That's how the saga of our endeavor to acquire FilmL.A. filming-permit data began. "If you use a dwelling unit as a home and you rent it less than 15 days during the year, its primary function isn’t considered to be rental and it shouldn’t be reported on Schedule E (Form 1040). You aren’t required to report the rental income and rental expenses from this activity." Simple enough. Rent your home for less that 15 days and you do not need to report or pay tax on that rental income.1 So, in order to calculate a credible estimate of of the rental-income that zooms through the loophole in Los Angeles every year, we only needed the total number of annual days that film companies rented from each home owner. As luck would have it, the FilmL.A. permits include all the information we needed to arrive at that figure. Each FilmL.A. permit provides the location address as well as the dates approved for production2. The permit also includes a designation for a "location type." Applicants are asked to choose from 159 different location types: banks and bakeshops, parks and parking lots, tattoo shops and tennis clubs to name a few. Fortunately, one of the listed location types is "Private Residence." Put it together and there is precisely the information required to match the IRS tax-free film-rental requirement. Once we had the number of days, we could produce an credible estimate for the size of the tax loophole by simply multiplying by typical location-rental fees. "We believe that the tax rules may provide an opportunity to realize a source of badly needed funds to address the homeless problem. The filming permit data is necessary to confirm the benefits of this opportunity." The letter was sent on January 12th. A week later Mr. Nyivih, called. He wanted to help, but did not fully understand our request. He suggested we discuss our request with FilmL.A. — that way, they could accurately respond. He offered to set up a meeting. I could hardly believe my ears; FilmL.A. was going to help. On February 2nd, Steve received an email from the County with three pdf attachments. Each file was a printout of a spreadsheet that held a year's worth of permit data. The email was a a serious disappointment. Pdf files can not be loaded into a statistics program. We had no easy way to analyze the data. There was a bigger problem. The data was incomplete. They had only included figures for the unincorporated areas of LA County -- about 10% of the what we needed. Worse, the data did not include all the production dates or location type. On top of that, nearly all the zip codes had been removed for the location addresses. We had data, but we could not use it to generate an estimate the size of the loophole. It was as if someone in the County wanted to stymie our attempt to calculate an estimate. Steve, who is not easily deterred, reached out to Mr. Nyivih and requested the spreadsheets and the additional data. On February 6th, Steve received the requested spreadsheets and the following memo from David Howard, Assistant Chief Executive Officer for LA County. "As you are aware, FiImLA is the County’s contractor coordinating the issuance of film permits. At our request, FiImLA has undertaken a review of their database and has provided responsive documentation in an electronic format...Note that FiImLA does not have an electronic record of the location manager, or prep dates and strike dates. Additionally, the term “location type” is unclear..."
In time we learned that, for the past ten-years, every filming permit issued by FilmL.A. was assigned a location type and all but a small fraction of a percent included a zip code. However, we did not need all that data to know someone at the County or FilmL.A were shading the truth. A cursory glance at any FilmL.A permit by was proof enough that they had the data we had asked for. We were being stonewalled. For the next few weeks Steve made repeated attempts to reach Mr. Howard and renew our request. He never received a reply. In retrospect, we had made several mistakes. The request for data in an electronic form was not specific enough. We should have asked for the data in a form that could be loaded into a spreadsheet application. We did not understand that our request for LA County data would only produce data for unincorporated areas of the County. We needed data for the entire County. We did not think to specifically request that the location addresses include a zip code. Finally, we did not say that our request was based on information that appeared on approved filming permits. If anyone had looked, the meaning of "location type" would have been abundantly clear. Live and learn. A month passed. I was having lunch at our usual Deli with my retired friends Bill and Gary. They understood how government bureaucracies and special interests operated. They had made their living offering guidance to left-leaning politicians. Our conversation drifted over every gloomy topic coming out of Washington. In spirit of gloomy topics, I delivered a play-by-play of how the County had rebuffed our efforts to get the data needed to estimate the tax loophole. Bill shook his head and gestured with disbelief. "Didn't you try a the Freedom of Information Act Request?" I shrugged. It never occurred to me. "Well you should," he said. Neither Steve nor I had known it, but we had already made our first public records act request. We knew nothing of Freedom of Information Act. We were about to learn. 1 Important note to filming hosts: be sure your 1099 lists your income in the "rents" box. 2 Filming permits include the type of production days: prep days, filming days and strike days. Each type of production days represents a potential IRS rental day. Good news for those Altadeneans concerned about runaway film production: on-location filming in the LA remains on a solidly upward trend. More production is staying local. That's a total bump of 133 total shoot days since last year. If you're wondering why the good news, look no farther than the California's Film and Television Tax Credit Program. Back in 2009, the Legislature passed the "Film and Television Tax Credit Program 1.0" in order to reverse the trend of runaway production. 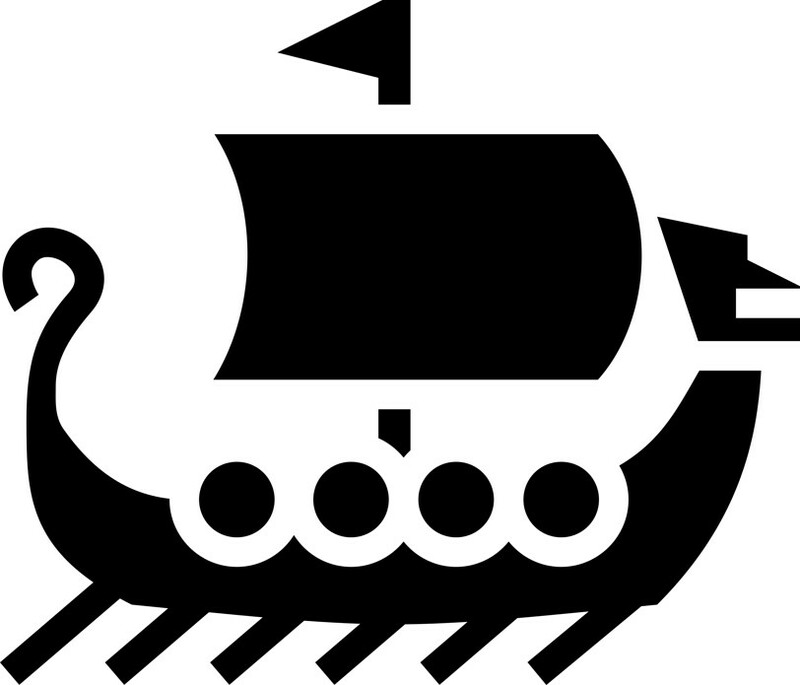 The program started to take effect in 2010. In 2104 the Legislature passed "Film and Television Tax Credit Program 2.0" a new version with a bigger pot: $300M+ in tax credits per year for the film industry. The new numbers are especially interesting when compared to Q3 2010. In case you're arithmetically challenged like me (or FilmLA), here's a handy table that should make the comparison between Q3 2010 to Q3 2016 easy. 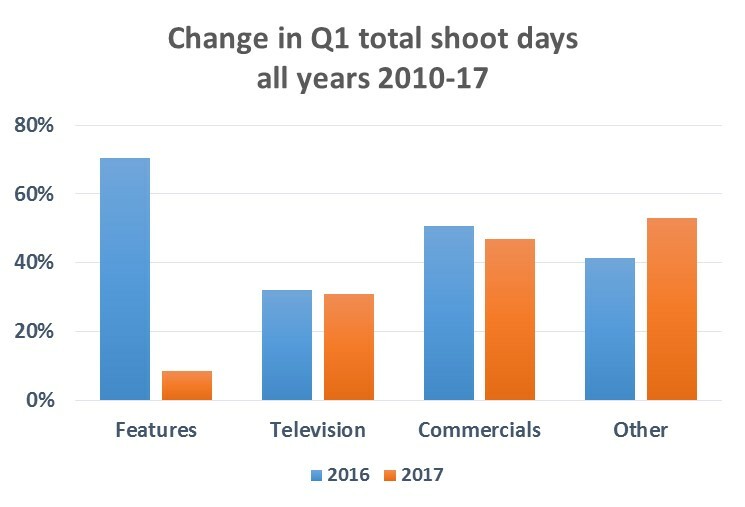 That's an increase in shoot days of nearly 50% in 6 years. Clearly the tax credit program is working. Of course the boon in production could be affected by other influences like the on-going SAG/AFTRA strike against video game producers. Meanwhile the film production biz is thriving in our area. Ironically, this success provides a challenge for the agencies like FilmLA and the California Film Commission who are obliged to declaim the success of the program while doing some convincing hand wringing or run the risk of losing the government subsidies. It must be a precarious balance. Unless of course film industry corporations would wield some political influence that might help tilt the scales.... nah. Today's posting has been salvaged from the pile of things that once-seemed-interesting-and-might-still-be. So we hope you will find this tidbit of YESTERDAY'S NEWS TODAY useful if you're in need of a impressive dinner party topic. According to a recent report from FilmLA, the film BIZ is really hopping in LA County. The credit for the boom in business goes to Governor Brown's generous $1.55B Film and Television Tax Credit Program 2.0. "Feature Film Production on the Increase in Los Angeles"
Way back on July 12th, FilmLA reported that there were nearly 10,000 on-location shooting days between April Fool's Day and July 4th--otherwise know as Q2. 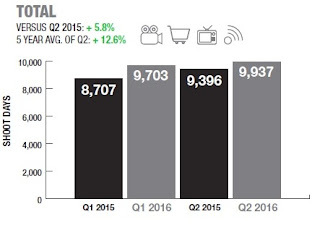 That's up about 6% from Q2 2015. Not quite up to the Q1 2016 bonanza when production was up 10% from 2015, but still impressive. Overall for 2016, FilmLA reports there have been nearly 20,000 shoot days in Los Angeles County during 2016. If you're like me, the temptation to extrapolate from these figures is irresistible. Consider this: the FilmLA data only includes data for LA City, LA County and a handful of other municipalities in the county. Let's say if we included on-location shoots for places like South Pasadena, Pasadena, La Canada, Glendale, Burbank and Monrovia, and added a very modest 10% to the total. In that case, we could estimate about 44,000 on-location shoot days in LA County for 2016. 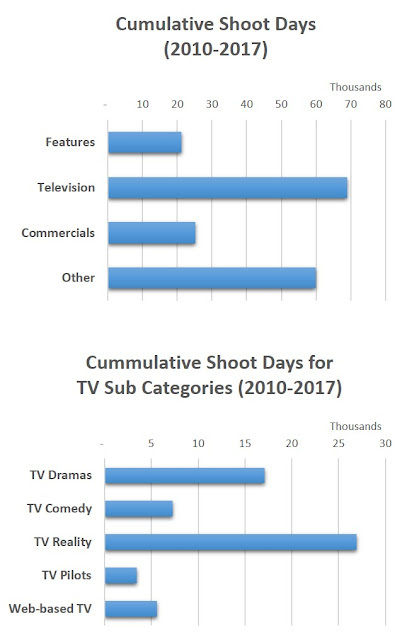 And, if you knock off a couple weeks for the Christmas holidays, that's nearly 900 shooting days per week or roughly 180 on-location shoots happening in LA County on a typical day. While that's a sizable number, your chances of encountering a film shoot while running errands remains small. According to the infallible Wikipedia, there's about 4,000 square miles of land in LA County. All things being equal (which they never are) that suggests one shoot per every 22 square miles. You probably have a better chance of seeing a Delorean. Apparently, the biggest growth in on-location shoot days was in feature production and TV pilots. Although the LA Times reports that LA's overall share of TV pilots is shrinking, that is not really worrisome since the production pie is getting bigger and the number of jobs is increasing. According to the FilmLA press release, the main reason for this overall growth is the Film and Television Tax Credit Program 2.0. They claim it's only the start. Paul Audley, President of FilmLA, touts that “We expect these production increases to continue until the state’s incentive reaches full utilization.” In other words there still plenty of credits left in the kitty. So who's getting in on the State's largess? Easy enough to find out. The California Film Commission has published the list of 28 winners who successfully competed for $109 million jackpot in tax credits. If the proceeds were split evenly, that would be about $4 million a piece. Interestingly, nearly two-thirds are "non-independent" productions — meaning the budgets are greater than $10M and more than 25% of the production company is owned by a publicly traded company, like Disney. The Biggies are are winning out over the Indies. Speaking of Disney: "A Wrinkle in Time" (a Disney production listed as Tesseract) was a tax-credit winner. "Wrinkle" is supposed to generate 400 jobs and $44 million in wages. Not a bad return for a $4 million dollar tax gimme. Earlier this week CityWatch* ran a story, an OpEd piece really, about a disruptive film production that raised a stir among residents in San Pedro. The piece asserts that shoot would have been less disruptive if FilmLA had done a better job of coordinating with other city departments to delay or downsize the shoot. If they had, the film shoot might not have "annoyed" the locals. The article raises the prospect of improving the system, but disparages the possibility of obtaining help from city government because "The industry has too much clout." Rather, the writer calls for neighborhood councils to have some "quiet, polite chats" with the film industry in the hope of reaching a better accommodation. Here's a link to the full story on CityWatch. *CityWatch is a LA City/County newsletter and website that covers topics on the neighborhood level. Who decides if a filming permit can be issued? FilmLA. So I was wondering... who sets the policies for FilmLA? After about 10 seconds of digging, I discovered that FilmLA has a Board of Directors. Altogether there are 29 Board Members: 4 are Board Officers, the remaining 25 are Members at Large. Members at Large: 9 are entertainment industry members, 7 are union/guild members, 9 are community members. For the sake of argument, assume that those 9 community members are the mostly likely to be the advocates for neighbors and neighborhoods. In that case those 9 members at large would of special interest. Paul Nawrocki: Independent Consultant. A Paul Nawrocki was mentioned in WGA posting as "assistant director of writers guild"
With the exception of Dr. Broodnick, Kim Roberts, Leron Guber and Dan Swartz, all of the other "community members" appear have business interests that might conflict with advocacy of neighborhood interests. In numbers that's 4 out 29. By the way...none are from the San Gabriel Valley. I think it fair to say that the San Gabriel Valley neighborhoods under FilmLA jurisdiction may be under represented. Note: Until 2008 there was a member at large from Altadena on the FilmLA Board.